Hospital Lockdown Lifted Following "Possible Threat"
Police lifted a lockdown at Mount Sinai Hospital on Chicago's west side Thursday afternoon. Police responded to the facility shortly before 11 a.m. after it received a threatening phone call, and kept the lockdown in effect for more than 3 hours. 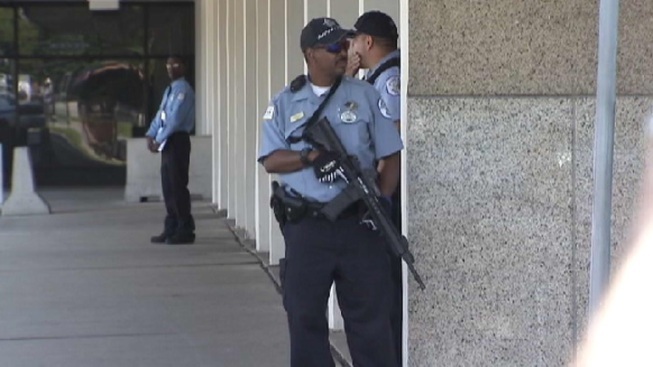 A Chicago police spokesperson said the lockdown was precautionary measure while police investigate. "We received a possible threat and are taking all necessary precautions to protect the safety of our patients, employees and visitors," hospital spokeswoman Dianne Hunter told NBC Chicago at around 11:30 a.m. "It is at the recommendation of the Chicago Police Department that we are taking heightened precautions." Police officers -- some wielding automatic weapons -- blocked the entrance to the emergency room and took up positions around the building. Police ordered pedestrians not to use the sidewalk in front of the hospital. "I haven't seen this many machine guns since I was in the military," said Elijah Washington, who was visiting the hospital. Some reports -- which were not confirmed by NBC Chicago -- indicated a man threatened to bring a gun to the facility. "They said someone was inside the hospital threatening to shoot a lot of people up inside the hospital," said hospital visitor Doreatha Schaefer. The facility, at 1500 S. California Ave., in the city's North Lawndale neighborhood, is a Level 1 trauma center with more than 300 beds.